American actor best known for roles in films such as Vantage Point, Innerspace, The Day After Tomorrow, D.O.A, Far from Heaven, Frequency, Wyatt Earp and Enemy Mine. In 2006 he mentioned his height and weight: "I'm 6 feet and 175 [pounds]" and for his role as Doc Holliday in Wyatt Earp he said he was "138 pounds". If he lost 2cm i supposed his big brother Randy would have lost the same amount too. But maybe he was more like 182cm peak and 180cm now. His son Jack look near 185cm. Was 5'11" at peak, now he's 5'10". How tall is his son Jack Quaid? Google says 6’2 but not sure. At age 20 he looked shorter then Liam Hemsworth. 5'11" was his peak height. I guess he was never 6'0 maybe 182cm and 181cm now. 5' 10" current barefoot stature. Rob i really think you should take another lok at this guy. Peak could have been 183 but i go with strong 182 guy. Today he looks 180-181 cm. i mean 184 channing tatum was 2-3 cm taller 7 years ago. That means he was 181,5 back then and today i believe 181. with a chanse of falling little under than. Editor Rob: yeah, today he does look closer to 5ft 11-11.25 a lot of the time. Rob, did he start off here at 6ft1? Editor Rob: I don't know exactly, but he was on 6ft for a very long time. Seeing him hugging Conan O'Brien makes it hard to believe he's any taller than 5'11"
Classic 182cm when he was young. I think Quaid never was more. Today I see a solid 180cm. He has good look this characteristic help very much. Looked a decent 6ft guy in the 80's and could pass for 184cm at times. He never looked over 6ft. Quaid never looked any taller than 5'11". Editor Rob: Quaid at times looks no more than 5ft 11! rob please search on "dennis quaid +paul bettany" on google and look at them on the premiere at legion. Paul who is at best 192 but could be 191 is more than 10 cm taller. i really dont think quad was more than at most 182 and today maybe not even over 180. Even channin tatum 183-184 was atleast 3 cm taller. Mmm, I thought William Fichtner looked a bit taller in Switchback, he made Quaid look 5 ft 11 if he is 5'11.75. Editor Rob: Here with less footwear and possibly a cm less posture I wouldn't have thought he was less than a weak 6ft, 5ft 11.5 range is certainly arguable for him. In American Dreamz with Hugh Grant I'm not sure he was the same height, he looked taller than Hugh who typically looks 5ft 11. Rob, i don't really know this guy but was he really a 6' guy at peak??? Editor Rob: he can look a weak 6ft range there, maybe 5ft 11.5...that's never impossible. Editor Rob: somewhere around this zone...I do think he can look shorter nowadays. He can look just 5ft11 today. 5ft 11 180 cm nowadays looks appropriate. "Peak height was 6ft 0.25in (184cm)"
"Dennis Quaid's height is 5ft 11.75in (182cm)"
That 6-ft-2 listing is especially absurd for him, and fellow actor Steven Weber, since I don't put either of these guys even at 6 foot! LOL 5'11" for both. Denzel and Travolta, on the other hand, actually can pull off 6'2" since they are the real deal 6-ft I'd say (or at least were in their prime-??). Look at him next to Uma Thurman (5'11-11.25")... In several pictures he does look shorter. I agree with many on here that Quaid can struggle with even 5ft11 at times now. The 6ft2 listings still give me the giggles. Saw him in a restaurant in London. A year ago I think. He was there with his family. Just gave me the impression of a nice chap, normal height, normal family. Could be anything between 5.9-5.11. His son is quite tall and still growing. Here is Dennis and his son Jack whose mother is Meg Ryan. Dennis has said several times (letterman) that Jack was 6-2. Looking at these pics, Dennis cannot be more than 5-11. I've seen him several times in a crowded room in the 90's looking over a see of heads and when standing next to him the angle of my neck was way more tilted than my 6' husband. He may have lost height but then 6'2. Absolutely Jake but I was just responding to Yaspaa's comment that Quaid is a more successful actor than Billy Bob, which is not true. Quaid hasn't been in a decent movie in at least 10 years. He's taller than Billy Bob, I'll give him that! Anyone see the awful Movie 43? Quaid was exactly the same height as 5'9" Greg Kinnear. I am 6'2" and I he and I passed each other at a restaurant in Austin and I dwarfed him. No way he is 6'. looks atleast 5'11 at peak. In the 80s and 90s when he weighed almost nothing, he could sometimes look near 6ft1. Never understood the 6ft2 claims though. But having said that, they're aren't any pictures roaming around of him and his brother. It be interesting to see how much shorter he'd look. @Yaspaa: eh Billy Bob Thornton has an Academy Award under belt. Does Quaid? He's more successful than Billy Bob. There's a difference. Anyway could 184cm peak for Quaid be possible? Randy Quaid has more talent in one finger than pretty boy Dennis has in his entire body. The elder Quaid had an Oscar nomination under his belt within a year of moving to Hollywood. barely taller than topher grace in In Good Company. I should've said a 'young' Brad Pitt. But I'll definitely agree that in rhe last 10 years he's gone downhill. Billy Bob Thornton is just an underrated talent. I put him in the same boat as guys like Brad Pitt and Leonardo DiCaprio. The public's obsession with their personal lives has veered a lot of attention away from their acting abilities. Granted, BBT isn't in the glossy mags week in, week out. More people certainly do not know Billy Bob more than Quaid, that's ridiculous. Quaid is a leading man while Billy is much more suited to co-acting. Plus, Quaid has the most hilarious smirk I've ever seen. Quaid's acting is mediocre...he's survived most of his career on good looks to be honest. quaid was an a lister billy bob throton has less flops 2 oscar noms quaid has no classic movies. more people know who billy bob is then quaid. Here with 5ft7 Michael Chiklis. In the second pic he is hunching a bit. Nevertheless I'd give him 5ft9.5-5ft10.25. Maybe 6ft shoes on in his youth. Those red carpet shots are always a bit dodgy, this one is better. He is not 5 foot 9. Once i heard he was listed as 6 foot 1. 182cm is right on. It seems people or possible fans really never know the facts on actors. We love to speculate about their personal, physical or professional statis. How sad that we feel more important by making negative statements "movie stars". Jonas, since when is only 6"0 slightly shorter than 6"2? That's 2in! in the right stuff he was eye level with 6 foot scott glenn. He is bang on 6 foot . Kent , i had a friend legit6'3 whose dad 5'7 mum 5'6 and 2 brothers was 5'9-5'10. he is 5-6inch on 2 flesh n blood brothers. it happens.. The Quaid brothers (Dennis and Randy) must have a different parent in their mix. I can't imagine two full-blooded brothers having almost 5 inches of difference between their heights. To me he always looked very similar to Harrison Ford in height and build. Hey Rob, what made you think he's lost enough height to have both a peak and current height listing? 57 actually and yes he is. I use to be Dennis Quaid's room mate, while living in Austin Texas (circa 1976). I am (or at the time) 5'10 3/4". Mr. Quaid was at least an inch shorter than me. If not, more! Rob, would 5ft11 or 5ft11.5 be closer? Dennis Quaid getting owned by Fox and Whitaker in those pictures. That is definitely more than 2in. I can see a 2inch difference between him and Fox. 6' peak. sure looked it in 'The Right Stuff'. he was easily 5'11(or fractions more) in 'The Day After Tomorrow' aged 50. Dennis is humped backed as he's gotten older so he's 57 now I'd say 5'9 would be accurate. I saw him just the other night at a bar and Im 6' he was a good 4" inches shorter than me. At the blackjack table at the Wynn with him. I am 5'8" and he looked exactly my height. His legs looked as big as my arms though. He weighed about 155 lbs maximum. I feel he shrinked for the past couple of years. I suppose he's around 5'10" to 5'11" these days. In his prime he does look 6'. Dennis' own claim is 6 foot. Just goes to show that there is much variation in genetics. His brother was is pushing 6'5"!! I believe Quaid looked similar in height and frame to Harrison Ford so I could buy 6'0.5" peak. Definately not anywhere near 6'2" though. Ok, someone other than Rob, explain to me how to post a pic or video. Rob has explained it to me several times and I only get to tinyurl, and can't get past it. I will prove that Dennis Quaid is just below 5-11, and I will post my long promised Eric Roberts pics. Somebody help me please! In 'Great Balls of Fire' he looked 5'10-5'11 to me. 182 is maximum I can buy at his peak. i'd say 5'11.5 today for sure 6'0 peak. He's still in great shape. In fact he looks fairly ripped. So maybe he's still around 6"0? Defnintly a legit 6'0 guy at his peak. the 6'2 listings are funny though. Can look 182cm a lot...so maybe so James. Quaid looked 185-186cm in Parent Trap but is really scraping tha 6ft mark nowadays. He did look at least 6ft1 in Parent Trap. You sure you're 6ft1 Mr. Quaid? No offence or anything, you're a great actor but you look more like 6ft. However I could be wrong. I'M 6'1 ...WHEN I PLAYED FOOTBALL IN TEXAS MY COACH LISTED ME AS 6'3 .. THAT HAS LED TO MY EXTAR INCHES OVER THE YEARS. Man next to Javier Bardem and Thomas Haden Church he looks at the most 5'11" on a very good day but 5'10.5" on a regular day. He had me fooled all these years. my son waited on Dennis Quaid recently in a restaurant. he said that Dennis is about 5'9"
Anything under 5ft11 is BS. I think 6ft now is more reasonable and 184-185cm in his prime. He doesn't tower enough to look like a 6ft2 guy. To at least LOOK 6ft2 you'd have to be 6ft1 at least. I just went on 5 sites and they all say 6'2. How Quaid ever got listed at 6ft2 is beyond me. I met him on the set of Wyatt Earp. I'm 5-11. I'd put him at 6-0. Wow, James that's a pretty big downgrade. 6ft2 down to 5ft11.25. Maybe Dennis is still a little taller than 6ft and perhaps is wearing big footwear. All of you just take a look at MD's first picture. Dennis is roughly the same height as his son. Saw him listed at 5'9" somewhere. 6'2 is a laugh but so is under 5'11. Look in the first pic MD posted. He clearly looks eye level with his son. A strong 181cm or a weak 182cm? Not really James. In that picture with Dennis and his wife he looks no taller. Maybe his son is 188cm and Dennis is 185cm. Sure James, but I'm suspicious. He looks the same height as son whose presumably 6ft2. Sure James, but I'm suspicious. He looks the same height as Jack. Anyone know what Matt Ryan has been measured at? I stick by my original estimate that he's not a full 6'0". I think he's closer to 5'11" than 6'0", or at least smack-dab in the middle. Take a look at this site, and you will see several pics of Dennis taking Jack for his learner's permit. In the walking scene, Jack is clearly 2 inches taller if not a little more. That does make sense, James. Also Randy looks like a bit of a bully at times with his broad frame and Dennis with his lighter scrawnier frame. You may not be aware of this. But Randy has actually been nominated for an academy award and Dennis hasn't. And yeah probably the height thing aswell, lol. I think that the peak for this guy was 6'. He looked an inch shorter than Kevin Costner in Wyatt Earp. Same here James. I don't think Dennis and Randy get on well. That's what I've heard. You see I have friends in Hollywood. I think a solid 6ft guy and 6ft1 in normal shoes. A solid 5ft11in guy. 6ft in normal shoes. I think he's still around 6ft. I'd say 6ft1 was his peak. I think Whitaker could be under 6ft2 but I wouldn't say he's lost height though. He's only 45-46 years of age. I think 6ft0.5 now and 6ft1 peak. So James, today you're saying he's 184cm. Would that result in a full 6ft1 peak? Next to hugh laurie 6 foot. I say he's 6 foot 1 at most. But in his 20's he was taller surely? But peakwise James. Nowadays 184cm. James, would 185-186cm peak be a good estimate for Dennis. Okay, in fairness Dennis didn't look even 6ft next to Fox. His son looks 188cm on the nose. Dennis 185-186cm? But I wouldn't call Dennis a liar by saying his son is 6ft2. Hold on Dennis is bending his head quite a bit. He's slouching a little aswell. If he stood up straight he's be close in height to his son. I have to wonder what his son would look like without all that hair. The other day on The Ellen Degeneres Show, Dennis mentioned his son Jack, who I believe is 16. (Meg Ryan's the mom.) He stated that Jack was "6-2" and was already taller than him. I found a few pics, and Jack is definitely at least two inches taller. Again, I am too ignorant to load pics. Can anyone find it? Randy obviously. It really does depend on how tall the woman is. If she's say 5ft10-6ft then more likely Randy. If shorter than 5ft7 then they'd go for Dennis. True Leung, Randy acts like an animal at times. Dennis is tall enough but he's not impressively tall. And Leung what do you mean that Dennis has more game? Dennis probably. No offense to Randy but he really does look like a troll compared to his younger brother. Maybe it's just his posture. It hasn't been great lately. And that's true that Dennis is far more good looking than his older and physically bigger brother Randy. Rob I know I keep mentioning it. But don't you think you were being a little harsh on Glenn. Afterall he did contribute a lot to this site. It's kind of throwing it back in his face by banning him. Anyway, James Dennis can occasionally look 6ft1 which, by the way I wouldn't rule out at his peak. But if you watch Vantage Point he doesn't quite look 6ft next to the 6ft2 guys like Forest Whitaker, Matthew Fox and William Hurt. There is probably more than 2 inches there. However there are times when Quaid can look 6ft1-2. [Editor Rob: there was good and bad to Glenn from my viewpoint. Actually I'm beginning to think that Dennis is shorter than 6ft. He looks more 181-182cm. Well, explain then why we were eye to eye? He's definately not below 6ft. Dennis is my height or 5'11". If he wears shoes with larger than normal heals he can look well over 6'. looked a good 6ft in Vantage Point. He can look 6ft2 with the right posture. Looked 1.5 inches shorter than 6ft2 Fox. He's more likely to be 184cm. I've met both Quaid (on the set of Joe vs the Volcano when he was with Meg Ryan) and Fox (on the set of LOST recently). Quaid was at least a solid 6'0 and perhaps even 6'1 since he had a very casual posture. We were all barefoot in the sand and quaid looked a tad taller then Tom Hanks. Fox looks quite tall in person and slimmer then he looks in film. Fox is 6'2 even. He looked about 1.5-2 inches shorter than Matthew Fox(6ft2), who looked exactly the same height give or take as William Hurt in Vantage Point. Quaid has top be still close to 6ft, if he's 5ft11 Fox can only be 6ft1 tops, which I wouldn't rule out. I agree with Steve from 2 years ago. I'm 8'6'' and he was at least 2 and a half feet plus an inch shorter than I was when we shook hands. Therefore, I'd say 5'11'' for Denis at best. I was looking right down at him from a few inches away so I know this for a fact. It's actually called Vantage Point not Advantage point. I think Quaid is a little over 6ft barefooted and in lift 6ft2. I saw Vantage Point recently and he appears to be just over 2 inches shorter than William Hurt, whom I believe to be a legit 6'2er...I say 5'11 3/4 for this guy...what do you think Rob? In the pic with Kinnear, Quaid's eyes are about 2-3 inches higher than Greg's. I say about 6'1 since he appeared about 2 inches taller than 5'11 Topher Grace. There with Kinnear is the shortest I've seen Quaid. If kinnear is 176cm then quaid is only 180cm nowadays.Unless kinnear is at least 5'10. Looks 6' with William Hurt and Matthew Fox, both of whom are 6'2. NO NO NO! My best friend is exactly 6'1; I re-measured him several times even in cm: always 187 and something in sneackers. OK...Facing once Dennis Quaid, he was unboubtedly shorter by exactly, visibly, one inch; wearing the same kind of shoes. I must confess that i do'nt understand; i previously would have thought they were alike:6'1. i doubt dennis quaid has lost height since his 20s.all of my uncles of his age are still the same height.i reckon dennis is 5ft11 -6ft tall range. A couple years back I saw him with his band playing at the local bar. He was on a stage about two inches high. From the main floor, I could see the top of his head and I felt taller than him. I am nearly 5'10" and was wearing boots (so did he). I concurr that his upper body is short, so it makes him look shorter than he is. I suspect he is 5'10" or less. Just watched Wyatt Earp. Quaid played Doc Holiday and standing next to Kevin Costner who played Earp he was obviously shorter by at least two inches. Here is another picture added of the lady in the comment below, Vicki, with Dennis. I have met Dennis three times, and I sent the different pictures to Glenn. I am 5 ft. 1" and I come up to his chin, the same level I am with my father in my wedding picture. My Dad was 6 ft. 0" so I figure Dennis is 6 Ft.
i met dennis and hugh grant was 5'11 and dennis about 184 185 cm but he was wearing 5 cm cowboy boots so bare feet about 183 cm max and even in boots he only looked 1.5" to 2" on hugh it means the differnce between them is 1" but in the movie they look 3 inches difference he must wear lifts and play with the angles but maybe quaid was 6'1" at peak but nowaday he is nowere near the 187 he is claiming even in the boots he didnt look it because 2" boots add you about 1 " the guy is between 182 a,d 184 183 is a good guess before i met him i was sure he was 6'2"
I've met Dennis and he's 5'11". The reports of him being 6'2" are as silly as those reporting Arnold Schwarzenegger as being only 5'10". So, you're actually agreeing with me, then, that Dennis is not the full 6'0" given, here. I must have missed your earlier post. I still think Topher is 5'11" which would still give Dennis 5'11". I posted them on purpose to give you a height reference. I showed you Dennis with Topher. Then I showed you that Topher just might not be 5'11" as well as how the IMDb lists many actors at that height who are in reality different heights. I'm wondering, what do these pics have to do with Dennis? Did you post these in the wrong persons section? The IMDb lists him at 6'3.5". Topher looks small next to Josh and certainly doesn't look 5'11", more like 5'8". Rob is no more than 5'10". That folks I can guarantee you. I worked on one of his TV series. And Rob was two inches shorter than Jim Belushi in About Last Night. 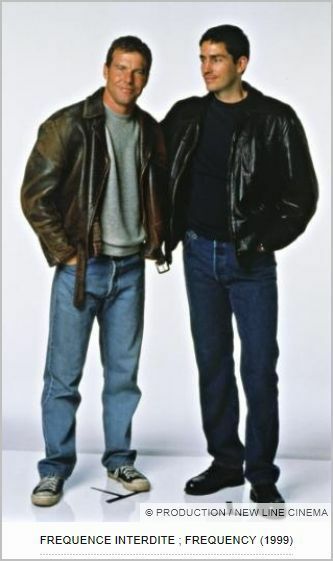 Belushi's listed on the IMDb as being 5'11" so here's a case of an actor who's under six feet looking taller than another actor (Lowe) who's listed on the IMDb as also being 5'11". That height is always suspect for me since it usually means the person is 5'10" or even under. But with Belushi who in person is about an inch taller than me, the IMDb blew it in the other direction. I'd say he's a strong six footer. That or he wore lifts when I saw him. Where's Oliver Stone when we need him? I smell a conspiracy! Well, it's beyond discussion that he's not over 6' now. What intrigues me is what Rob has pointed out, how he managed during so much time to mantain the ilusion? And what he could win doing that? He's not supossed to be gigantic as Arnold, he could have stayed in 6' (wheter is his real height or 1" more). What advantages do the actors take from such an exaggerations? Better roles they wouldn't play if perceived as short? Now, though we can not see the footwear, Topher is definitely not known for wearing boots or height boosting footwear. Everything I've seen as of late (him with Jake Gyllenhal) points to him being 5'11", these days. I see at least a five inch difference which makes sense since I've seen Randy and he's my height. I'm with Chris, the guy always looked taller than 5'11", he might have scrapped the 6'1" when young. Plus he's not an action star in a so physical sense as Stallone or Arnold are, he does not need such amellioration of his height, there's no reason. Otherwise he has the best image asesors in the world and has been paying them a fortune for no reason! I want his method to looking 6'2" being 3 inches shorter! In the movie Dreamscape (1984), Dennis Quaid looked about 3 inches shorter than Max von Sydow. Sydow was about 6'4'' then and I´d say Quaid has always been around the 6'1'' mark. Today he´s about 6 feet. It must exist a factual base for a lie or exaggeration. Glenn has described him at a reasonable 6', i can belive this and really gives a start point to stretch it, you know the mean augment is 2" in Hollywood, so it fits. And he has looked allways tall, he must be 6' at least. Maybe Arnold Schwarzenegger, Stallone or the likes have a reason for a constant camerawork, in his case there's no one. Who knows, but the fact is that he's not 6'0". Why was Elvis described as being 6'2"? Dennis is exactly my height or 5'11". Nice man. He was just on Jay Leno (April 13th/14th), and he was the same height or half and inch shorter than Jay, but definitely not more. Even if Jay is 5'11" barefoot, that would put Quaid at 5'10.5"-5'11" barefoot. Is it possible that he's lost height, because he's looking 5'10" barefoot, now. EDITOR ROB, time to bring him down to 5'11"